If you're looking for the best Skype alternatives, then you've come to the right place. 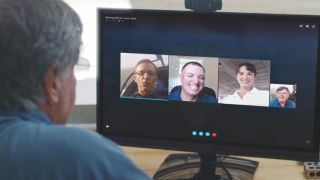 For many years, Skype has been one of the most popular VoIP (Voice over IP) services, with home and business users alike using it to video and voice call friends and family over the world. So, if you're looking to move from Skype to another VoIP service, then this guide to the best Skype alternatives will help you make the leap. We look at both free alternatives to Skype, as well as packages you need to pay for, which is good for large companies with employees around the world. WhatsApp is our pick for the best Skype alternative of 2019. This messaging service has taken the world by storm, so there's a good chance that you already have it installed on your smartphone or PC. It offers plenty of features to rival Skype, including text messaging, voice and video calls, and it also offers end-to-end encryption, which gives you added privacy. For business users, you can easily share documents and there's a WhatsApp business API as well. Google Hangouts is another popular alternative to Skype that offers a lot of the same features, including high definition video calling, group chats and instant messaging. If you use Gmail, or your company uses G Suite, then you'll find Google Hangouts an excellent choice for VoIP thanks to its integration. It's easy to use, and there's a free version, and call quality is usually pretty good. You can also easily share your screen, which makes it useful for collaboration and showing presentations. It does have a limit on the number of people who can join a video call at once, which can be annoying if you have a large company. Viber offers text, voice and video calls free of charge, and if you are willing to pay, you can use Viber Out to make calls to any phone number in the world – and this can even be used from the desktop. Group calling is a great feature for groups of friends, and there is the usual selection of stickers to choose from. Viber prides itself on being 'ad lite', which means while there are some ads, such as at the end of video calls, they shouldn't be intrusive. It also offers end-to-end encryption. If you're looking for the best Skype alternative for business use, then WebEx is the service to go for. It offers a large amount of features for video conferencing, allowing employees from all over the world to work together and collaborate on projects. It can be used for training, supporting customers and much more, and for an additional fee, you can also include international voice calls. It also integrates with your business calendar, as well as platforms such as Microsoft Teams, Slack and Facebook Live. If you're looking for an open source Skype alternative that prioritises the privacy of its users, the Jami - which used to be known as Ring - is the one to go for. It has a professional-looking design and is available for a wide range of platforms. Unlike other Skype alternatives, calls using Jami are direct between users, so it doesn't use servers to handle calls. This gives you even greater privacy, as the decentralised nature of Jami means your calls are only between you and the person you're calling - no one else can see (or hear). It's got a good selection of features, and it's also totally free to use.